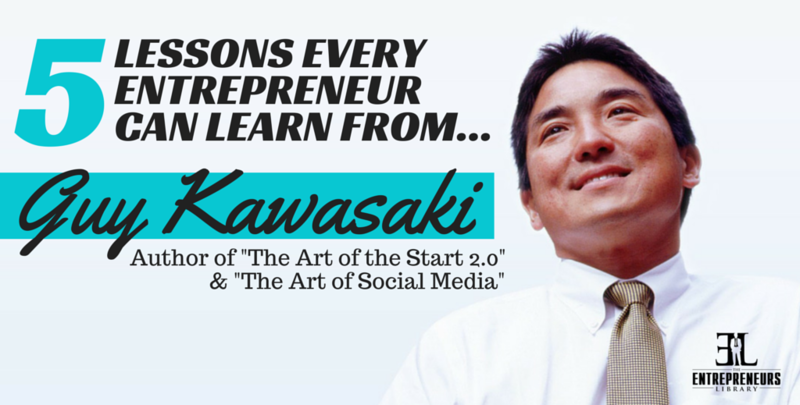 Guy Kawasaki is one of the most famous entrepreneurs alive today. He has worked for Apple and Google, written for Forbes and MacUser, founded Fog City Software, and is now a successful author and speaker. 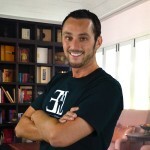 He also founded or helped found Garage Technology Ventures, Truemors, and Alltop. With so much success under his belt, it is no wonder that entrepreneurs all over the world want to learn from him. He shares many of his secrets to success in his book, The Art of the Start. He recently updated it for 2015, and The Art of the Start 2.0 has only just hit bookshelves. He understands that one of the hardest parts of starting your own business is finding the capital you need. In his recently updated book, he shares the following 5 tips for how to get the startup money that you require to launch your new company. People are always more willing to loan money to people that they know. If you are lucky enough to be on a first name basis with someone who could potentially hand you a large amount of funds, obviously they are going to be your first pitch. If you don’t know anyone with the appropriate funds, or if you need more than one investor (and both of those are almost certainly true for most entrepreneurs) then you’re going to have to reach out to people who aren’t familiar with you. When you meet with potential investors, you’re going to have to create a feeling of familiarity. The best way to do this is through common ground. To establish this, you need to do your homework on potential investors. Social media profiles are a perfect place to find background information on a person. Find out if there is any overlap between you and them. Attending the same school or frequently travelling to the same destination is the perfect place to start. Other connections like shared hobbies are also fertile ground for making connections. Above all, be truthful. Never lie to your investors. Trying to make up common ground is almost sure to end in disaster. Name dropping people that you don’t really know or faking enthusiasm for something you are completely ignorant about will destroy your credibility. Have something to show investors when you meet with them. It is supremely unlikely that anyone will invest in your company if all you have is an outline and a dream. Throwing money at such a venture requires an enormous leap of faith on the part of your investors. Anything tangible that you can show them increases the chances of them supporting you. Actual sales are one of the best evidences of forward progress. If you can show that people are buying your product or service, investors will be happy. Even if you haven’t sold anything yet, there is still evidence that you can provide. Set up a website and track the traffic flow through it. Ask people to register on your site and show an increasing number of users. No matter how little it looks to you, any traction at all is better than none. People often meet with investors to pitch ideas with independent studies that show a demand for their product. While this does provide hard evidence that there is a market for your company, it is still a finite vision. It is better if you can drop a few numbers that allow investors to do their own calculations. This will lead to them building their own fantasy. Not only does this create the idea of a vast market, but it also gives them more interest in your startup. When they are casting their own vision, they are much more likely to support you. An example of catalyzing fantasy is how Pets.com got their start. They showed investors that there are 300 million Americans and 25% of them own a dog. The math leads investors to the conclusion that there are 75 million dogs in America. Then you let your investors know that these dogs need 2 cans of dog food per day. Which means that 150 million cans of dog food are being used in America every single day. That is a huge market that investors will naturally be attracted to. The hardest investor to get is the very first one. Everyone is reluctant to be the first person to put their money in a new venture. If you can show them that even just one person has already invested in your company, they will be much more comfortable supporting you. It might sound like a good plan to cast a wide net in order to attract as many investors as possible, but that isn’t the best way to start. Do your research on possible investors and target just a few that you really believe you can convince. Focus on them until you get your first investor. Then you can start reaching out to more people. It is better to have one investor fully committed than to have ten investors who are thinking about it. People are much more likely to act if you let them know that this is a limited time offer. Tell them that you are raising this set amount of capital and once you reach it you won’t be accepting any more investors. Or determine that you are only going to accept a certain number of investors, at which point it will no longer be possible to join this exciting new venture on the ground floor. As previously stated, you cannot lie to your investors. If you set a cutoff number, once you reach it you have to stop accepting investors. This might mean that you have to get creative in order to raise any money you need over and above you original investments. While this might seem like a step in the wrong direction, it is a proven way to make your venture more attractive to possible investors.